Lots of small, potentially affecting dramas buzz around the center of Breakthrough before the movie swats them away to focus on the power of prayer. There’s the fraught coming-of-age story of John Smith (Marcel Ruiz), a Guatemala-born teenager adopted by white evangelicals in the suburbs of St. Louis, whose loving home life can’t fully quash feelings of rejection and loneliness. 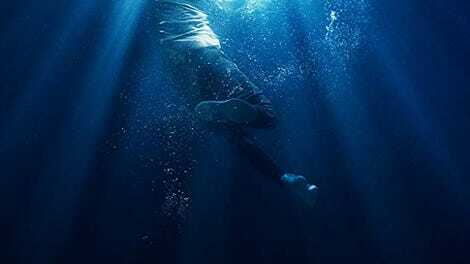 There’s a true-life medical melodrama about John’s rescue and care when he falls through the ice into a frozen lake, becoming trapped underwater for a dangerous amount of time. And there’s a gentle family drama about youthful, quasi-hip pastor Jason Noble (Topher Grace), who moves to a new mega-church and finds his methods of preaching frowned upon by some of the more traditional worshipers, especially John’s mother, the willful and judgmental Joyce Smith (Chrissy Metz). Though it feigns toward an ensemble approach, Breakthrough isn’t really about its characters. It is first and foremost one of those movies where tragedy befalls a kid, and God (as yet uncast) fixes it with a miracle. Like its kin, the film is supposed to be a legitimate and uplifting form of child-endangerment simulation because it actually happened: John Smith really did go under the ice, and his mother, Joyce, really did pray boldly for him to defy his extremely dire prognosis and come back to his family. John and/or God obliged, and the kid made a near-impossible full recovery. Does that count as a spoiler? You could say this is one of those true stories where what matters is the journey, even if that journey happens to be tediously uneventful. More often, though, the movie’s attempts to grapple with its own implications are, as the Bible says, totally half-assed. Someone asks a question addressing how arbitrary these miracles can feel to those who don’t actually get to experience them with their own loved ones. But the movie’s heart is not really in this conversation, which happens so suddenly, spurred by a teacher who isn’t important to the story and is inappropriately pressing one of her students on the matter, that the character winds up looking like a low-key monster. Meanwhile, Tommy (Mike Colter), the paramedic who pulls John out of the drink, swears that he heard some unattributed voice urging him to keep searching when odds of recovery looked slim, and wrestles with this newfound faith by sitting on a park bench. As usual, about 10 minutes of soul-searching, topped off with an assurance that John has returned to life for some greater purpose, pretty much does the trick for everyone involved. That includes John, who, the movie implies, had all of his pesky, complicated feelings about his identity cured by his brush with death—an icy baptism of assimilation. Fair enough that Breakthrough doesn’t want to be too thorny or interesting regarding matters of faith, but it also doesn’t especially cohere as the ensemble drama it keeps promising. Metz gets a big, showy breakdown scene, while Josh Lucas, playing her husband and John’s father, looks deeply uncomfortable for most of the running time. Ruiz is shunted off screen by design, and the other characters in his age group look a lot like props. The filmmakers can’t figure out a better way to bring everyone together than gathering the characters for a mass that bears a weird resemblance to a talk-show hosting a cast reunion. Some more lip service is paid to actual EMTs, hospital workers, and so on, before the movie swings back to characterizing prayer as a producer of results. Good intentions or not, it’s a little bit chilling, this fantasy world where “thoughts and prayers” really, truly are the best anyone can offer.